after weeks and weeks of going through bug reports and fixing stuff (after all 0.15 was one of our biggest releases), it seems that we are approaching the end of 0.15 stabilisation. The (wishful) plan is to have a stable candidate for 0.15 next week. Sadly, this will change our attention to just different category of bugs: Those that we plan to fix for the 0.16 as they are not so critical and the changes required to fix them are too big to be done in 0.15 at this point. The way it works is, that the blueprint is saved as it would be normally saved, but instead the data goes into a CRC engine. The problem is, that our MapSerialiser writes current output map version automatically in a constructor. This means, that whenever we changed version of factorio, which is every release at least, the CRC values of the blueprints changed, and they were suddenly considered to be different. It was quite hard to reproduce because of this. Anyway, forcing the serialiser to not write the map version to the output in this case fixed this issue. 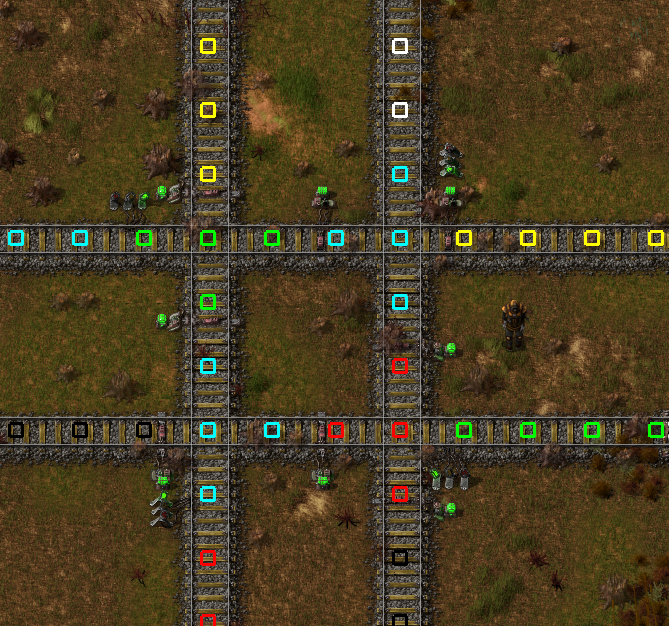 One of our plans for 0.16 is the optimisation of the internal ItemStack representation. The current data representation of an item stack is like this. This representation is nice and simple, but performance wise, it is bad, as whenever the ItemStack is accessed, it needs to access different part of memory to know the ID or any other information about the item as it is in the dynamically allocated part. When the item is transferred from one place to another, the dynamically allocated pointer can be transferred as well, but in cases when the stack needs to be split (which is happening almost always with stack inserter for example), a new copy of the dynamically allocated class Item needs to be created, which is generally slow as well. Now, in the vast majority of cases, the ItemStack is simple and flat, so any operation with it will be much faster. It is possible that this change might improve the performance, but until we actually implement it and test it, we will never know. The people were commenting, that once they used that, they were able to understand the way signals work almost instantly. The problem is, that debug options are generally not intended to be used in normal game, as the way these are generated is slowing the render a lot and the looks of it is far from production quality. 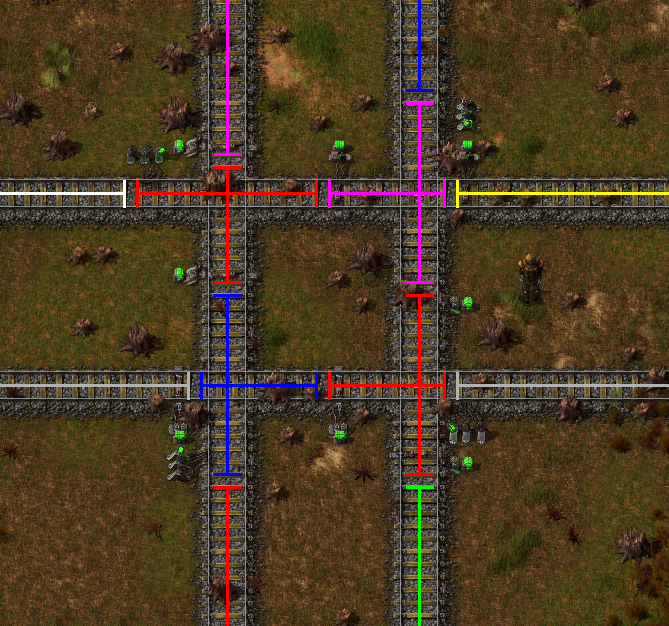 The first problem is, that using colors is very practical way to indicate which rails are connected into one segment, but it also makes the game look too much like a circus. We shall see what can we do if we use different than the RGB colors for it. So the final result is subject to our experiments, I just wanted to show you the process. As always, let us know if you have any thoughts or feedback on our Forum.